Back in 1956, club member Frank Rose set a series of club time trial records, for 10 miles (23:07), 25 miles (58:50), 50 miles (2:03:13), 100 miles (4:19:55), and the 12 hour event (242.89 miles), which went unchallenged for more than fifty years. Beginning in 2007 however, club member David Wheeler began systematically to contest these achievements. He first claimed a new club record for the 10-mile time trial in 2007 (22m 20s), but has since bettered this on several occasions. 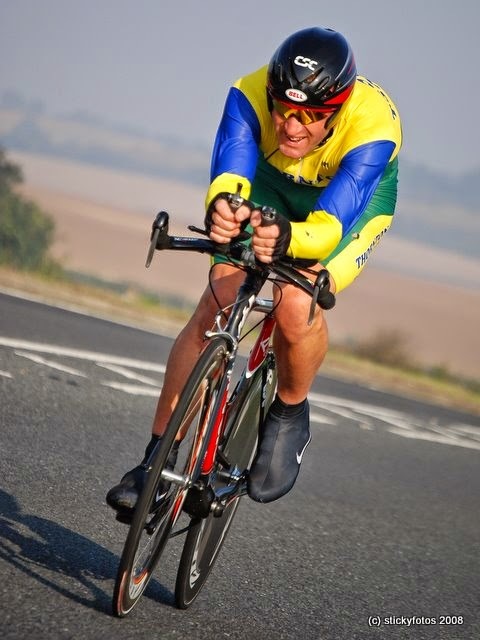 In 2007 and 2008 David Wheeler also demolished Frank Rose’s times for 25-mile and the 50-mile time trials. Michael Pumphrey then continued to contest the remaining times that Frank Rose had set, even adding a further new record of his own in a 24 hour event. This page is a 'work in progress' and not definitive.